I delivered my first child at Apollo cradle two months back. My initial few weeks were difficult to breastfeed as I had little knowledge about it. Both I and my baby were Learning and getting used to it. 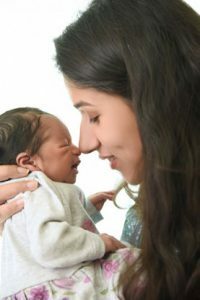 But I think that the best thing that you can do is say that you want to breastfeed your baby and to hold on to that thought and to find as much help and advice that you can get to be able to continue breastfeeding. Now that can be from a breastfeeding counsellor and lactation expert at the hospital. My baby is now two months old and completely on breastfeed. Her doc is very happy with her growth and most importantly it’s the best way to connect with the child and make the bond strong. It’s our me time together and we both look forward to each other. I thank the team at Apollo cradle for taking such beautiful care before and after pregnancy. Even if I call sometimes at odd hours am addressed with a full attention which motivated me to continue the process and enjoy it. It’s the best I can do for the child as if now.